Hank Cooper’s captivating story,based on true life events, will keep you on the edge and give you an inside view of the dark and dangerous world of drug smuggling and addiction. This honest account of his years spent on the wrong side of the law will work as both a cautionary tale and an interesting read for everyone.In his book, Cooper navigates through his motives, journey and lessons learned during his life. 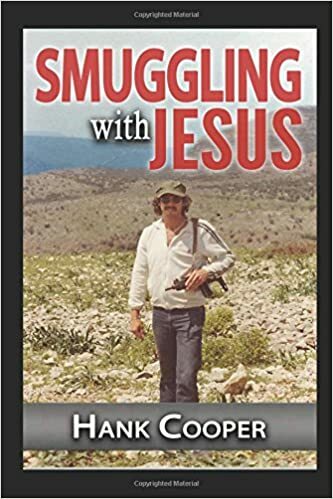 Smuggling With Jesus explores the dangers and fast pace of drugs and the mentality of a smuggler in the era of mass surveillance. From cocaine to heroin and from rags to riches, this memoir will change the way you view drug smuggling. I sell on Amazon, eBay, Bonanza and Etsy but I like this open source and decentralized platform to buy and sell using crypto currencies such as Litecoin, Bitcoin and a few others. I pride myself, at 66 years old already, that honesty of whatever it is I am selling and if ever a problem I will do everything possible to resolve any issues. I usually get electronics of all sorts and are from major national chains. I will update this as the platform evolves. Thanks for reading and have a happy time on the site.